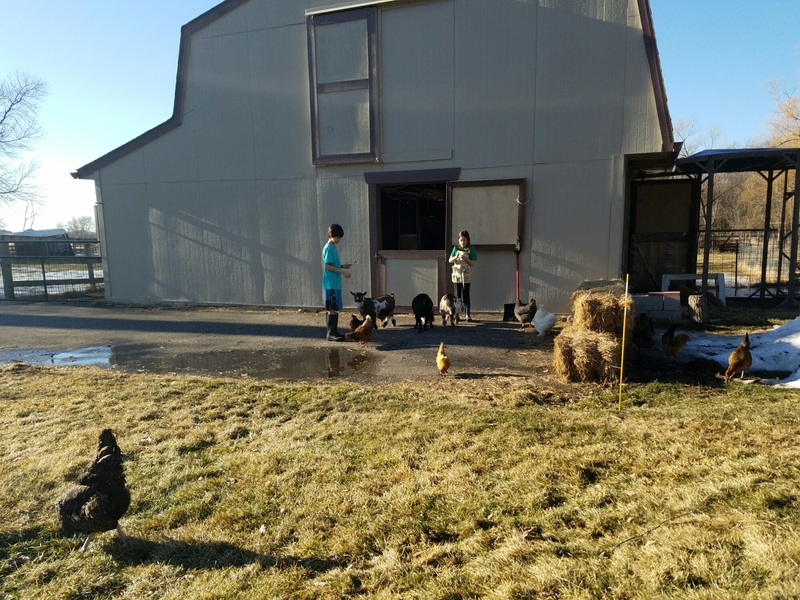 We had record high temps of 60 yesterday which got everyone out of the barn to get some sun rays. 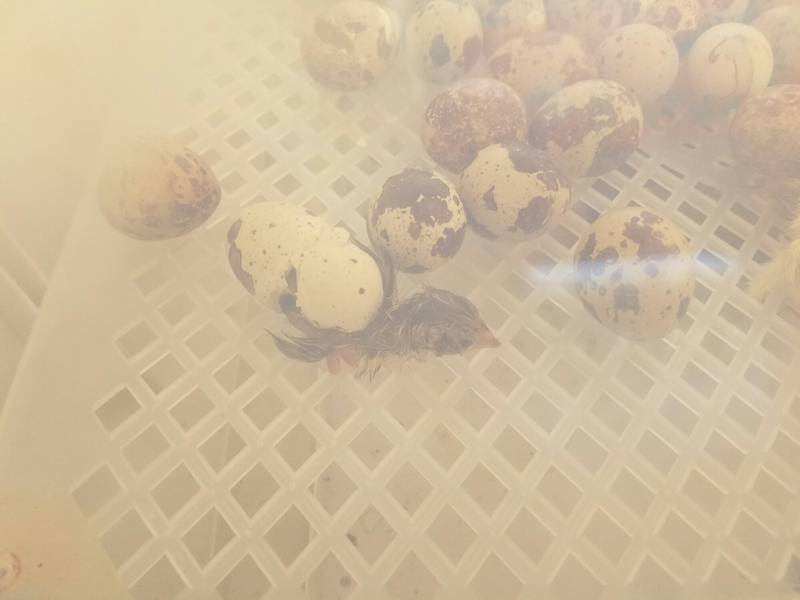 Some of the exciting news is we are having quail chicks hatch in the incubator. I had some concerns since this was the first time raising quail and the week I received the eggs the breeder was saying due to the bitter cold he wasn’t getting a very high hatching rate. Throughout the process we were able to candle them only a few days in and saw them growing. After the chick’s were 7 days old we couldn’t see anything that way. I had read online that you can put the in water and if they float they were growing so we did try it with a couple of eggs. That also worked. We were at day 17 on Thursday night and we were starting to see signs of hatching. Some of the eggs were losing parts of the outer shell and one was starting to poke through. I checked on it yesterday and several had hatched. Unfortunately there was a learning curve and I lost one chick who was able to fall in the side of the tray. I am excited to see how many actually hatch and see how they grow. ← Butchered Pigs… Now what?